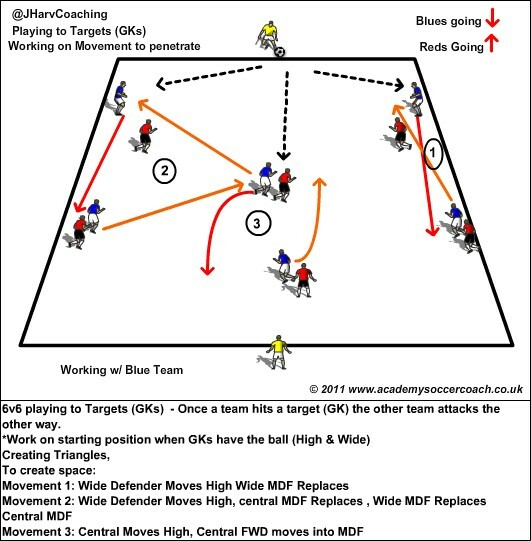 Here are some exercises for Movement to finish in front of goal on the counter. 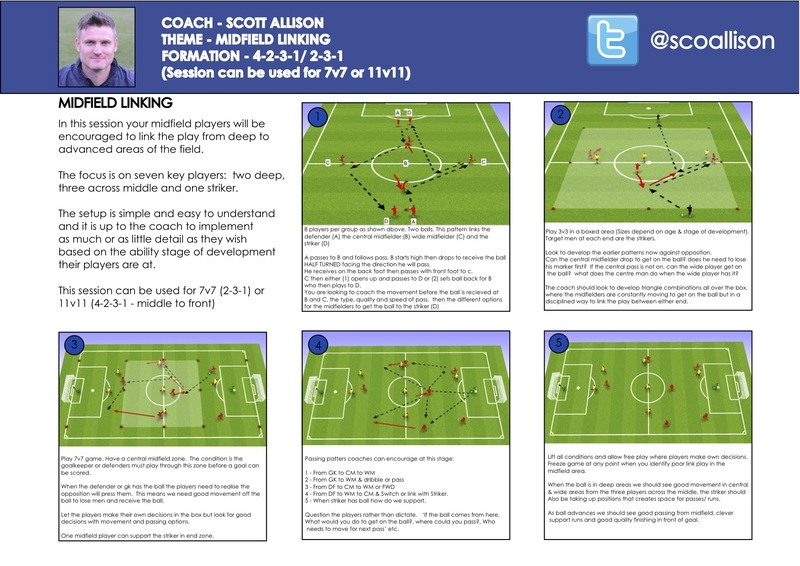 They create a rhythm and relationship with the Forwards and Midfields. 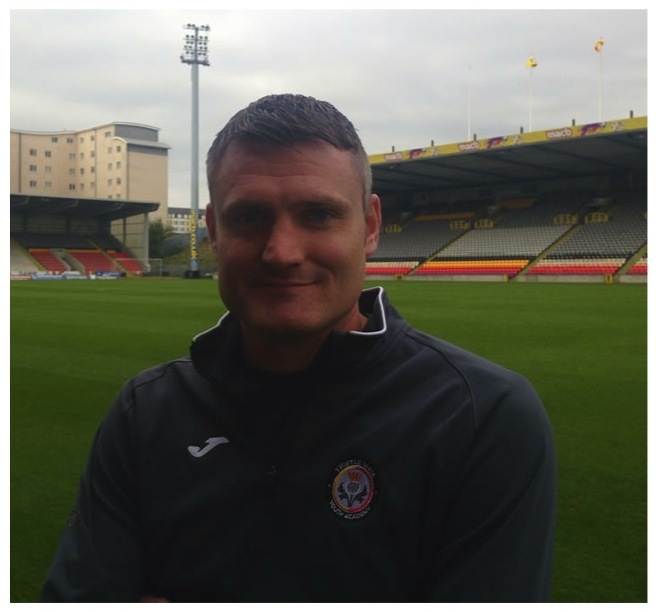 Mark Lyons is a Lead foundation Coach at Northampton Town FC Academy. 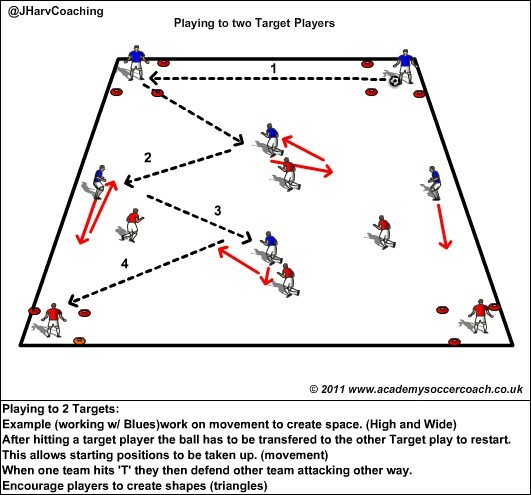 He his head coach of the U9 team at the club. 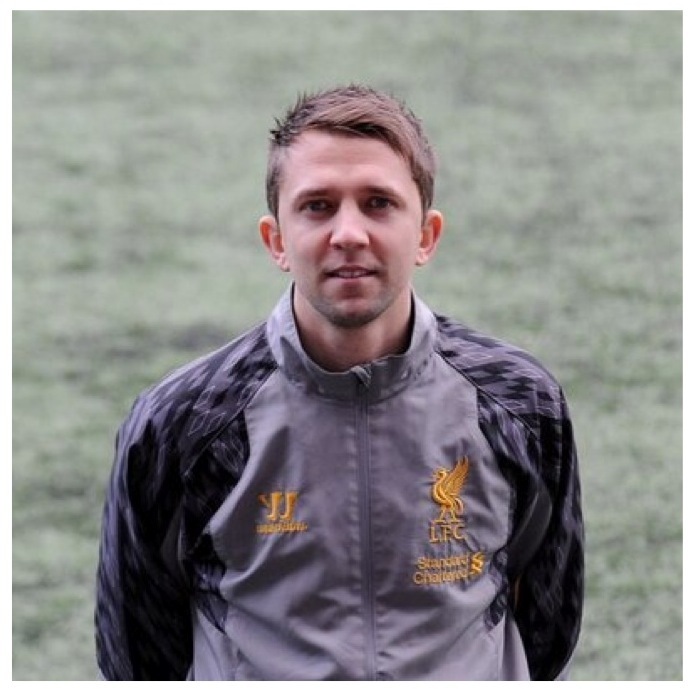 He has the UEFA B License and FA Youth Module 1,2 and 3. 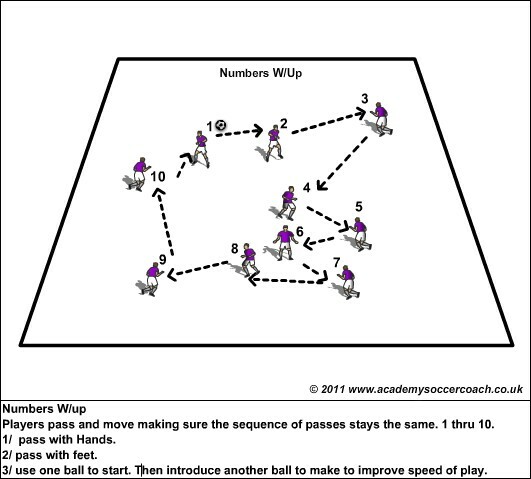 Here are some exercises that encourage players to play back to open up to be able play forward. 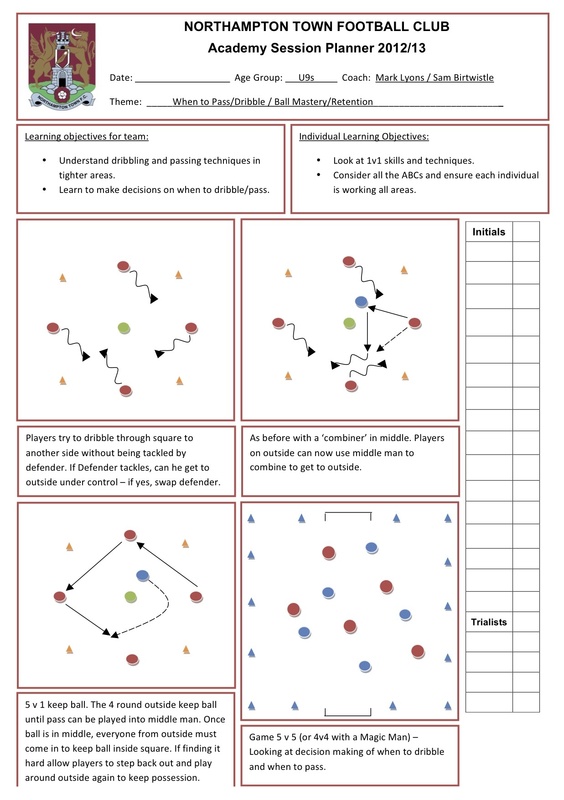 Each exercise works on reaction time, speed of play, awareness, first touch, decision making and also defensive principles. 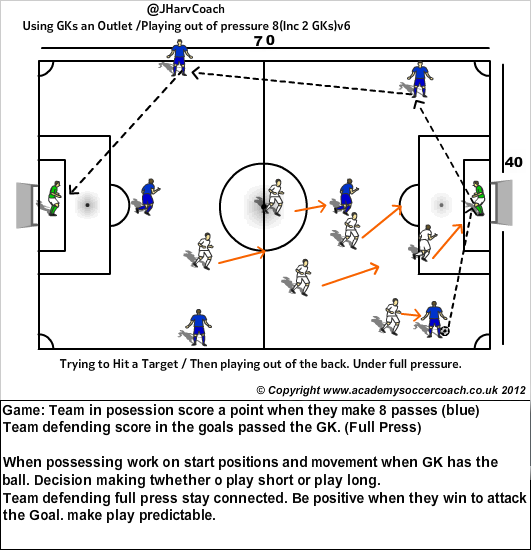 The exercise can be excellent for GKs to feel more comfortable at playing out with their feet. 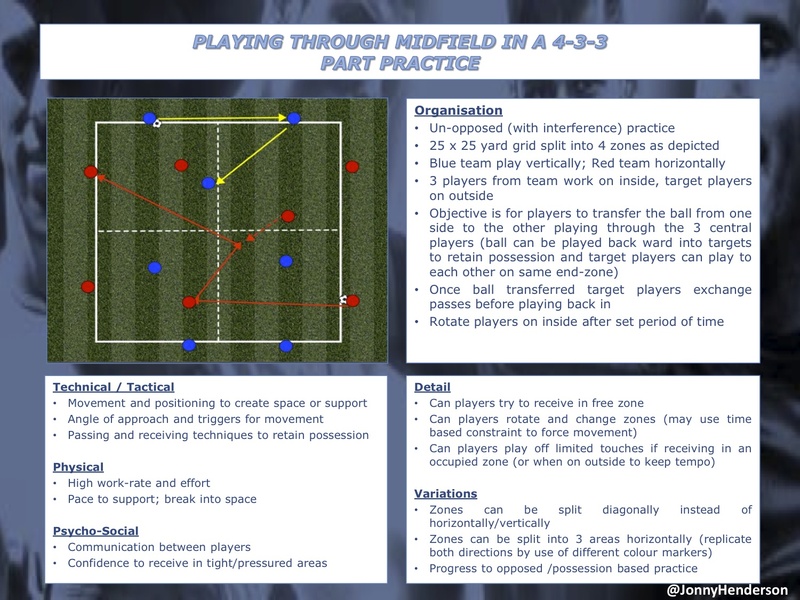 Also the 4v2 and 4v3 exercises can be great to work with Defensive Midfielder in a 4-3-3 (1-4-1-2-3) for 11v11 or 7 v 7 (1-2-3-1). 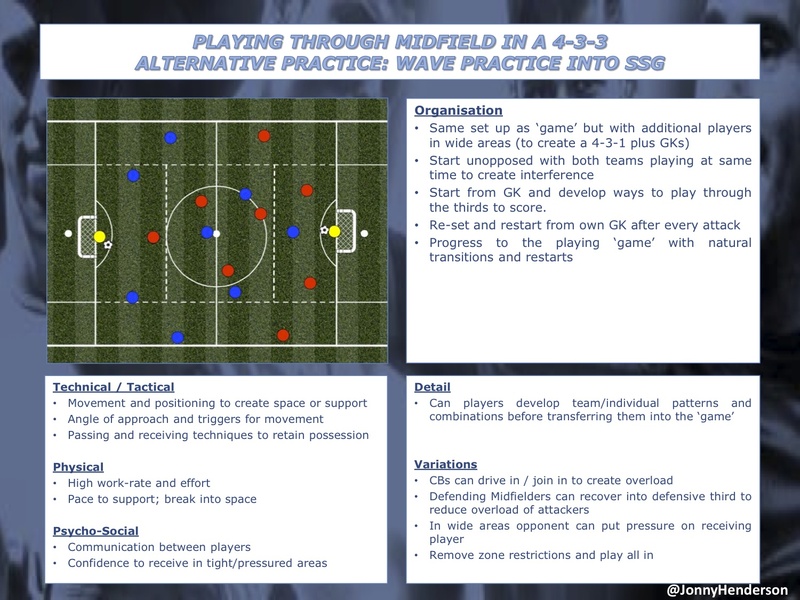 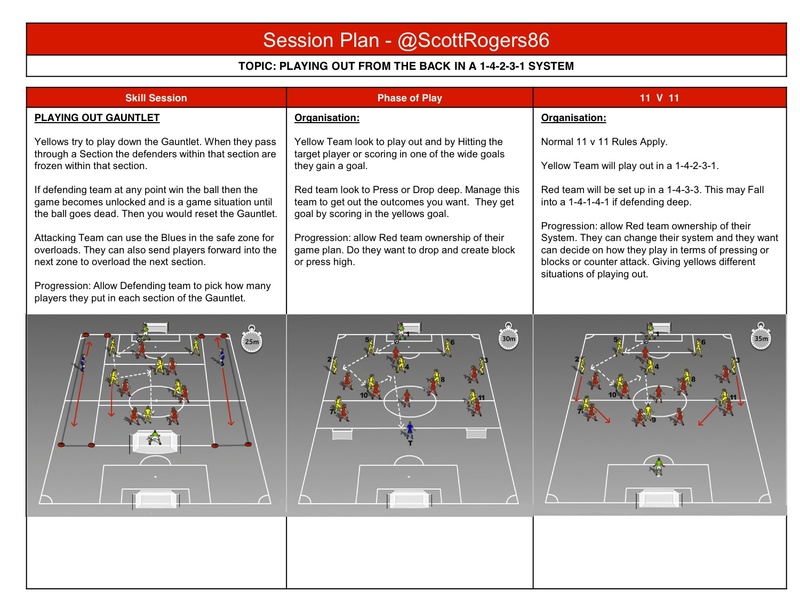 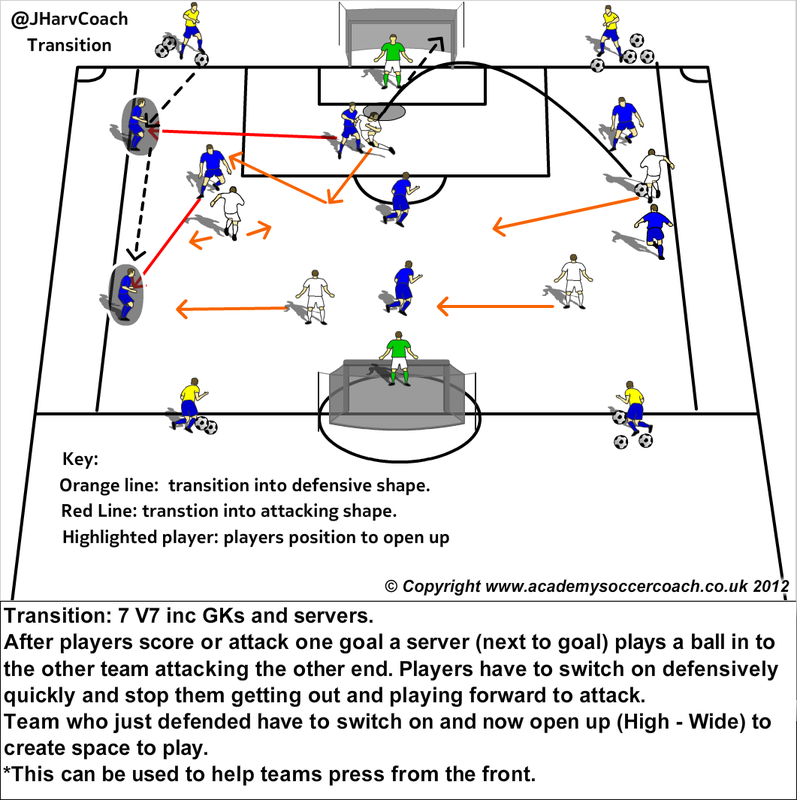 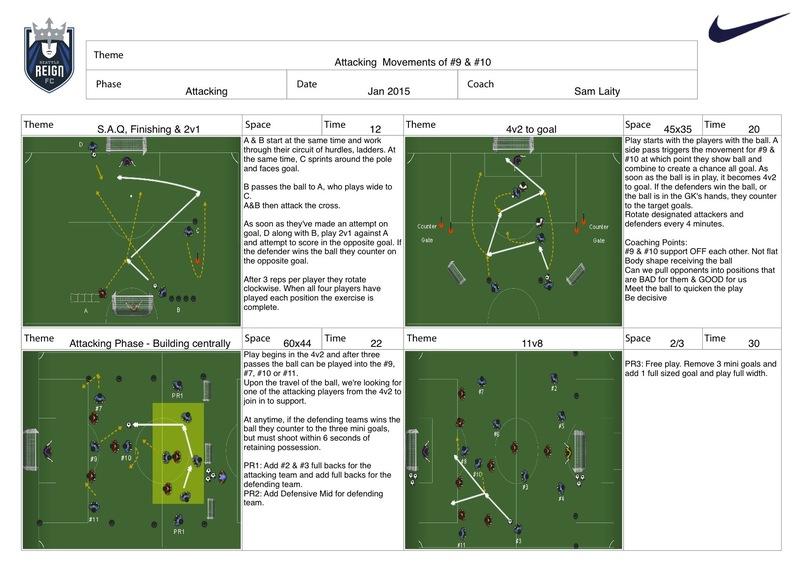 Here are some Transition (Attacking to Defending / Defending to Attacking) Games. 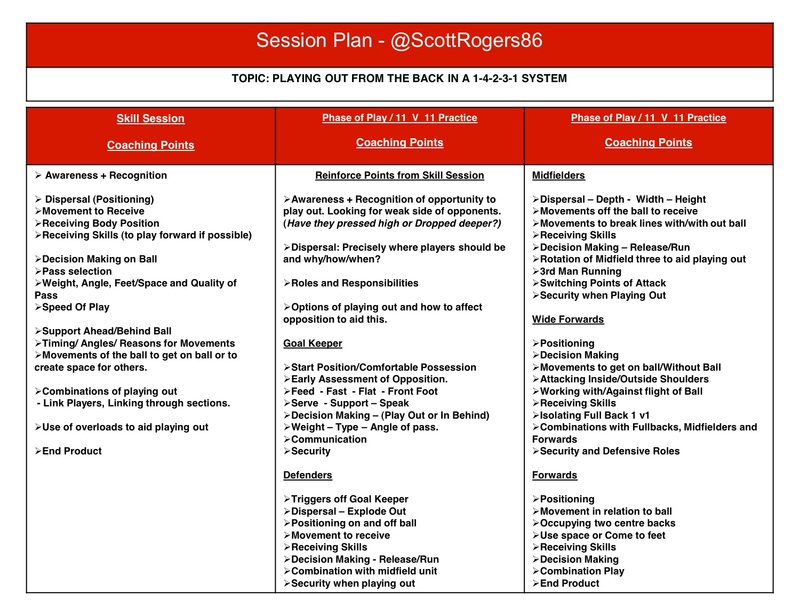 A Coach can work on Either topic or both. 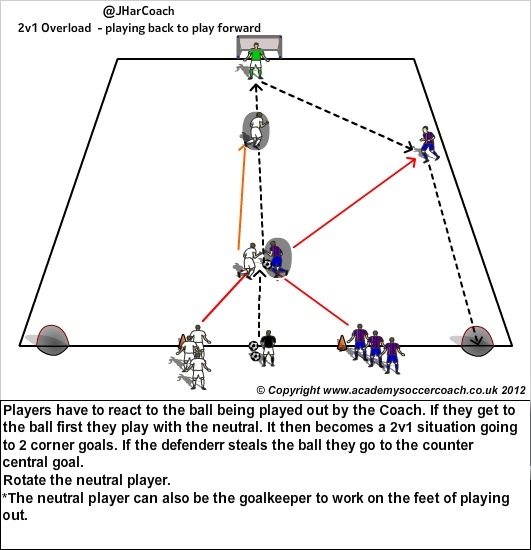 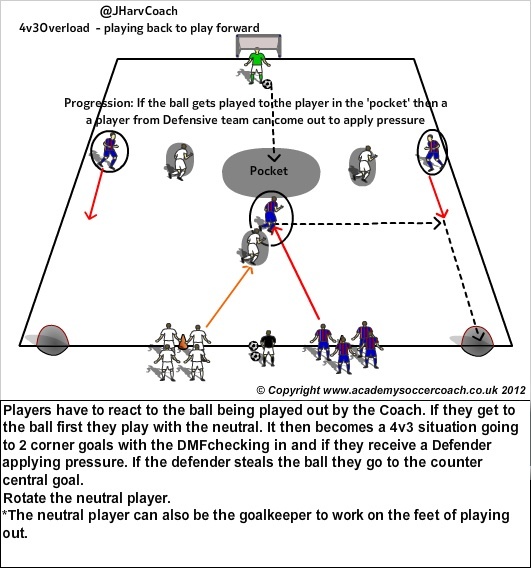 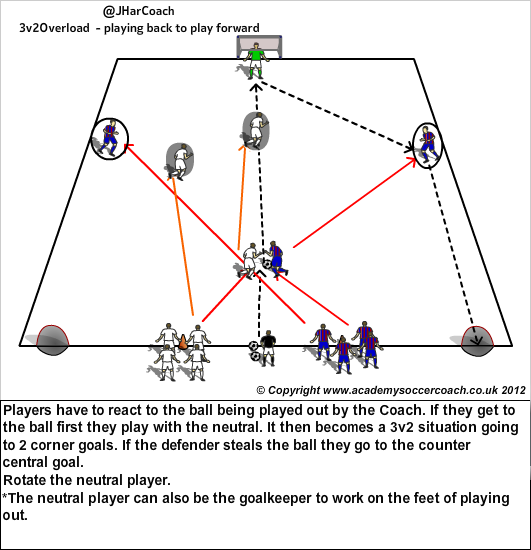 I use these games a lot for Defensive Principles. 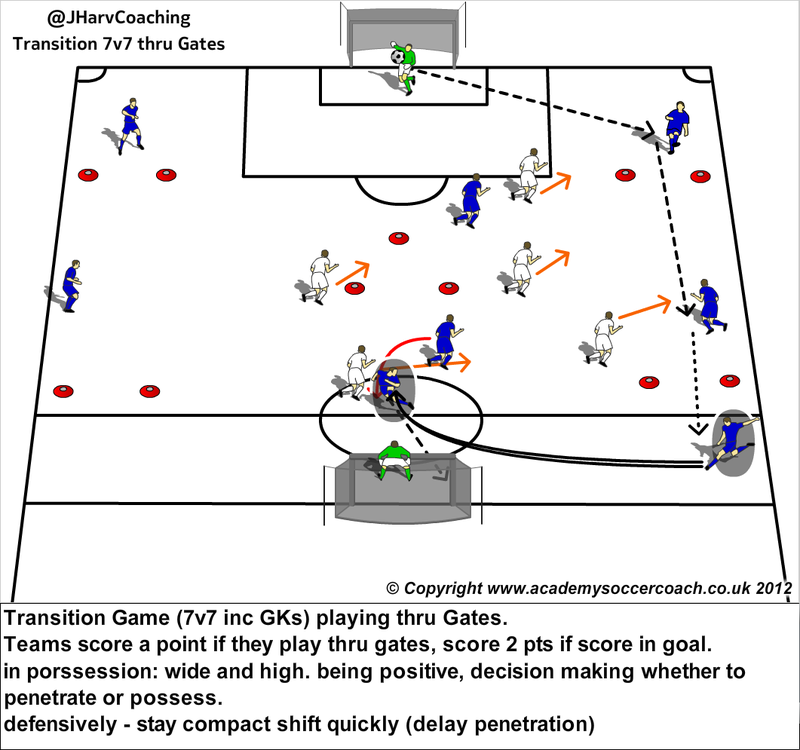 Transition games are great as they are very Game related. Soccer/Football is all about Transitions. 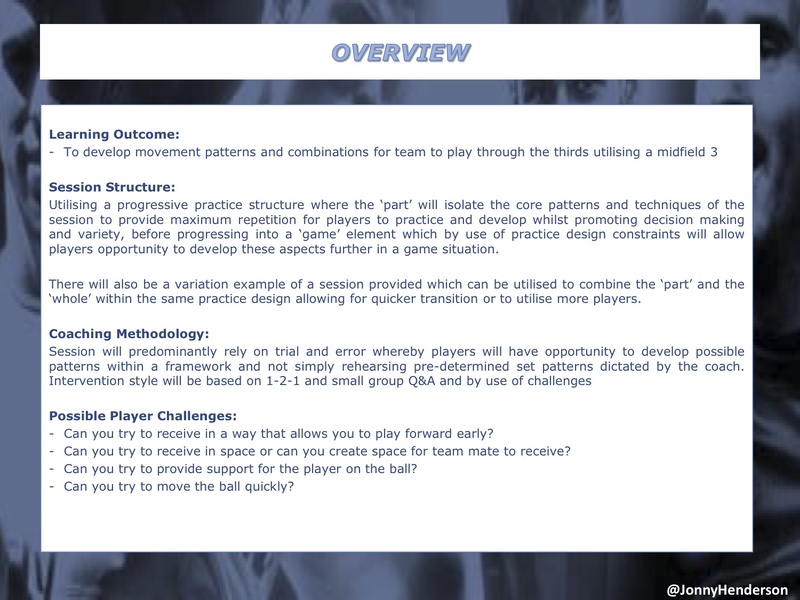 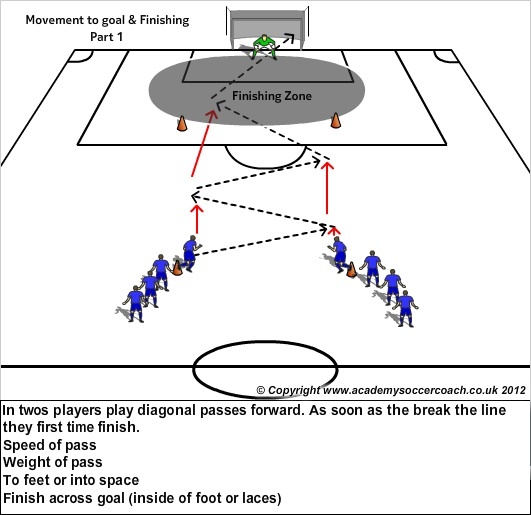 Here is a great video on Transition by Barcelona (below) When Defending they call it the “6 second rule”. 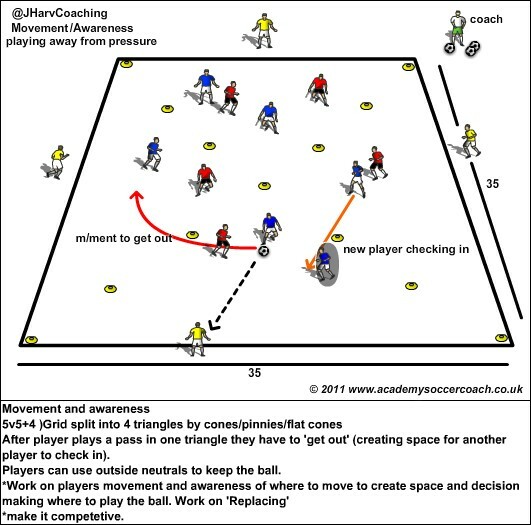 They have to get the ball back in 6 seconds (high pressing). 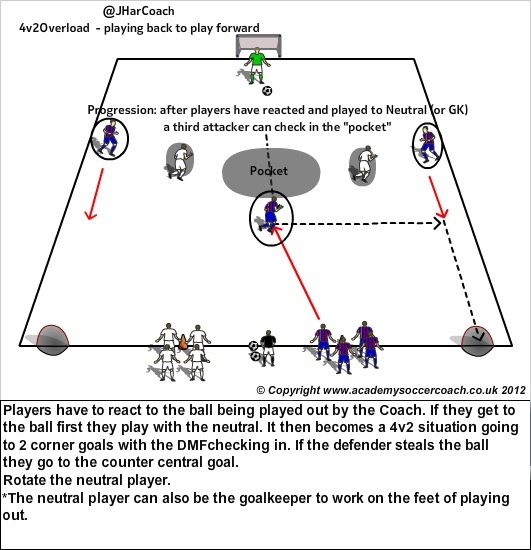 If they don’t get the ball they retreat and get their defensive shape.